For using an air purifier for pets can be one of the best things that you can do for your home . Nowadays i think everyone like animals and also want to live with them. There’s nothing better than the love and companionship of a dog or a cat; however, when your furry friend’s hair, dander and odors start to impact the quality of the air in your home and breathing becomes a challenge, living with a pet can be a real problem. Those who are affected by allergies could have a really hard time having an animal. Because pet hair and dander (skin cells) shed off of the animal and are spread through the air in our living room. But if your pet allergies are bad, you could end up suffering with itchy, watery eyes, a runny nose, congestion, headaches, and more. Even if you don’t have allergies, the odors that are often associated with animals, such as urine, can make your home smell particularly unpleasant.It may cause bad smell flow in your indoor room. If you’re like most people, you probably think that issues related to cat and dog allergies flare up from breathing in pet hair or getting it in your eyes. Unfortunately, that’s just not true.it is our psychological function. What the really causes pet allergies is the microscopic dander that your pets shed, not their hair.hair is not the evident to prove hair have allergies. For our life,pet dander consists of tiny flecks of skin that peel off with your pet’s hair, fur or feathers and it comes from all types of pets too, it is not just cats and dogs. Animals such as ferrets, hamsters, guinea pigs and even birds produce dander that causes allergic reactions in humans.we need have air purifier to purify. For animals lover,our pets are our friends and our companions – they’re part of the family. They’re with us through the good times and the bad, ready and willing to offer their comfort and support. Because how close the bonds are that we form with them, it’s no surprise that so many people suffer through the unnecessary discomfort of pet-related allergies and lingering odors.we can share our happy and sad with them,also they will keep a word with us. 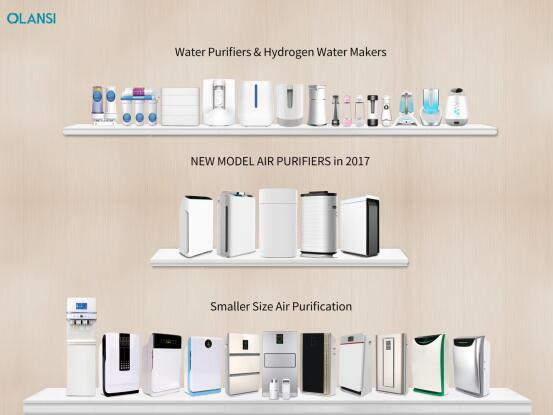 Olansi Healthcare Co., Ltd (Olansi Healthcare Co., Ltd, Guangzhou Olans Water Treatment Equipments Co., Ltd, and Guangzhou Zenfly Environmental Protection Equipment Co.,Ltd these three factory all belongs to our President Mr. Peng Wei) is a professional manufacturer of olansi water purifier, olansi air purifier and hydrogen water machine and other healthcare products. It locates in Guangzhou city, Guangdong province, China.